"The secret behind a successful trading is a good risk reward ratio. If you ignore this, surely, you will loose. It won't care, which great chart or trading strategy you are using. Most of the chart providers and tips providers are ignoring RRR. Result... yes...you know it." Learn, how to make profit from a BAD INDICATOR? Plenty of trading systems and trading tips providers are in internet, and they are all offering handsome profit every...day....month.....year through their service. we don't know whether its true or not. But the universal truth is that, none of the trading systems or trading tips are perfect. So, learn the art of making profit from any indicator...even, if it's a bad indicator. Now... stop searching holly grail, there is no such holly grail in the world. Yes...little bit, until you learn the tricks of identifying the market conditions. Once you learn it...its so easy. Driving a car is very difficult for beginners. After learning, it is not difficult and regular practice makes a perfect driver. Remember, "No Pain No Gain".We all know, there are three types of trend. Up trend, down trend and range bound. But if you look closer at your chart, you can find some other conditions too. An up trend with low volatility, an up trend with high volatility, a down trend with low volatility, a down trend with high volatility, a range bound market with high and low volatility. Now think...is it possible to trade with a single indicator in all these conditions? certainly No...a BIG No. if you trade...it is not trading...it is a clear gambling. Please follow these rules, you can also enjoy the trading which is night mare for most traders.1) Identify the market condition.2) Use proper Indicator for entry.3) Activate plan A .4) If plan A fails..activate plan B to protect the capital.Most of the children play cricket, but only few get entry in National team. We all sing. but how many of us will be famous? We are all trading..only 5-10% will succeed. So LEARN TRADING before you trade or STOP TRADE for saving remaining capital.CALL - 9142227173 for more details. Auto-Robo trader is a computer program to execute trade in your broker terminal without human intervention. When market is bad...probably you loose your trade, its natural.Due to emotions, even though the market is good.. You might lose. Auto-Robo trader will help you to avoid this situation. You need a charting platform with Buy Sell signals, Auto- Robo plugin and your broker terminal like NEST, NOW, ODIN.whenever a buy sell signal appears in your chart, auto-robo trader will catch the signals from the chart and send a buy or sell order to your broker terminal automatically within 3 seconds.And also it will send orders for Target and stop loss when its necessary.So, Robo will take care of analysis and trade execution part. Meanwhile, you can concentrate with your own business. 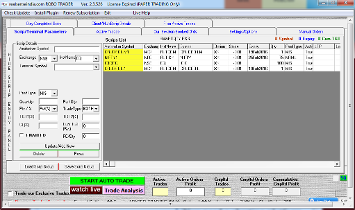 Step 2: Open Robo trade software and add scrips you want to trade. 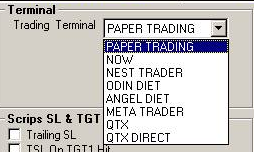 Step 3: Select your broker terminal. Whenever a trade execute, the details will show in the active trades. Multi scrip order will help you to trade in difference scrip or scrips from a single chart. Ideal for hedging and Options strategy trading. Multi client order will useful for brokers and sub-brokers to place order automatically with client and capital management facility. Ideal for revenue generation. You can set difference type of stop loss and trail stop loss in Robo trader.Eg:(1) Fixed point trail stop loss.It will trail a fixed point behind the entry price until its hit. (2) TSL on Target 1 hit.It will trail only after the target one hit. until target 1 , it will maintain a fixed stop loss. (3) SL@entry at Tgt1.It will modify the stop loss at entry price, after hitting the target 1. 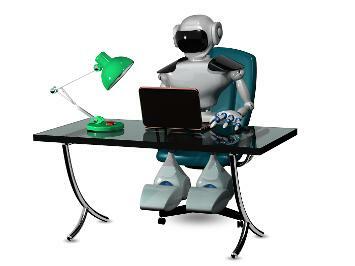 Robo Time management: You can control the robo trade in many ways. Eg: in what time robo want to trade and not to trade and also you can set different squire of time for different different segment. 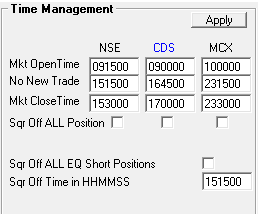 Risk management:You can set maximum active orders, maximum long or short orders and also you can control maximum order per scrip. You can set active profit and loss in daily basis. 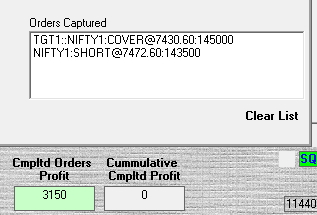 Eg: if you want to book Rs.6000 profit and Loss not more than 2000, whenever Rs-6000 profit or Rs.2000 loss hit, the robo automatically squire off all remaining positions and stop trading until you reset. 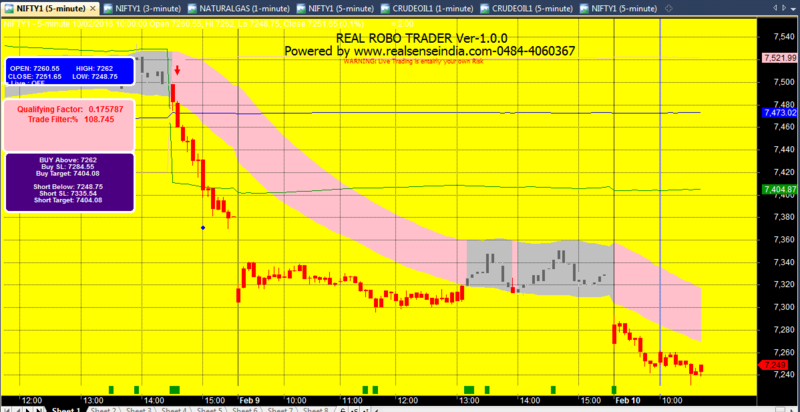 Robo Trade Notification: You have an option to get Trade details via SMS, email etc.. Call -9142227173 for further clarification.